Karen Brynes Allen, Trivedi Global Inc.
Karen B A, Mahendra K T, Alice B, Dahryn T, Gopal N. et al. 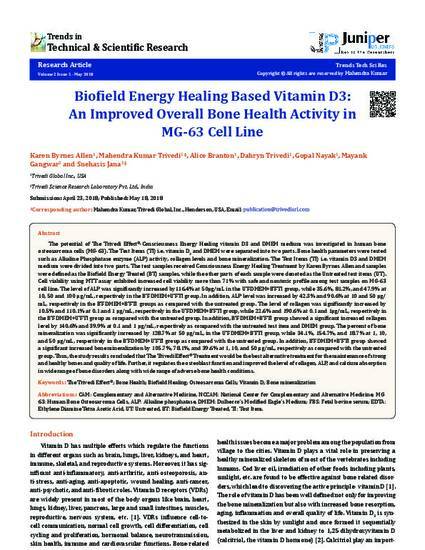 Biofield Energy Healing Based Vitamin D3: An Improved Overall Bone Health Activity in MG-63 Cell Line. Trends Tech Sci Res. 2018; 2(1): 555578.